In the third week of December, Victoria traveled south aboard the royal train to Portsmouth where she boarded the 160-foot-long, 370-ton paddle-wheel steamer Alberta. The steamer bore the queen across the silent, gray waters of the Solent to the Isle of Wight, landing at East Cowes. Her Majesty then set off in a carriage through the small town, following York Avenue as it wound its way up the hillside, past the prosperous brick houses of her courtiers, and between a pair of granite piers adorned with bronze stags. The passage of her carriage down a gently curved drive flanked by the bare-leafed trees of winter sent a flagman scurrying up a twisting staircase to the top of a tall tower. He raised the royal standard. 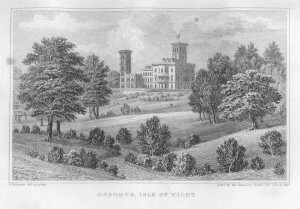 The Queen had arrived at the Italianate seaside palace, Osborne House. Christmas at Osborne was celebrated with all the festive touches of previous royal holidays at Windsor, though the widowed Victoria always regarded the celebrations somewhat wistfully. 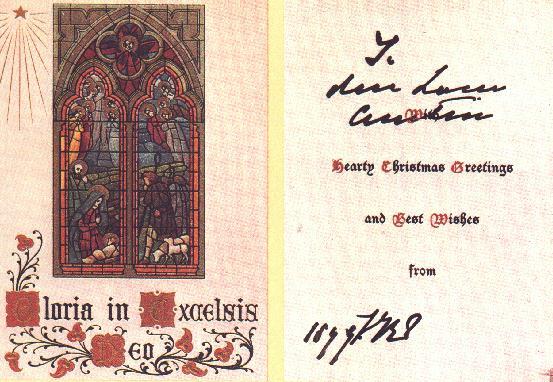 Footmen and housemaids spent hours decorating the house: chimney-pieces were draped with boughs of holly, yew and ferns, woven with cloves and set with candles to provide a sparkle; garlands of evergreen, dotted with holly and ivy, framed doorways; and poinsettias glowed red against the pastel walls. The florist provided miniature topiaries adorned with shimmer ing ropes of imitation jewels to grace tables, and large, festive bouquets of flowers added scent and color. The celebration called for a dozen trees. Albert popularized the German custom of erecting a Christmas tree, but it was actually introduced to England by Queen Charlotte (consort of George III). The largest tree was placed in a tub at the foot of the grand staircase; others went into the drawing room, Princess Beatrice’s suite, and rooms for the royal household. The household tree was erected in the Durbar Room, and several smaller trees stood on tables covered in white cloth. All were carefully decorated by servants, their branches hung with blown glass and tin ornaments, bundles of cloves and cinnamon sticks, toffees and other small candies, silver tinsel, and red bows. Hundreds of candles, their holders clipped to branches, provided illumination, but the trees were not lit until Christmas Eve. The afternoon of Christmas Eve found the queen making her appearance at the staff party in the servants’ hall. Members of the domestic staff, employees on the estate, and their wives and children, crowded the room to await her arrival. Tables were filled with pastries, cookies, tea and ale, and presents for the servants (always practical: clothing, bolts of cloth, meat pies, game, joints of meat, shoulders of lamb and crocks containing plum pudding). A footman handed each package to the queen, who took a particular delight in handing out gifts of toys, clothing or books, along with their very own gingerbread man, to the children. Carols were sung, followed by the national anthem, before the queen retired. 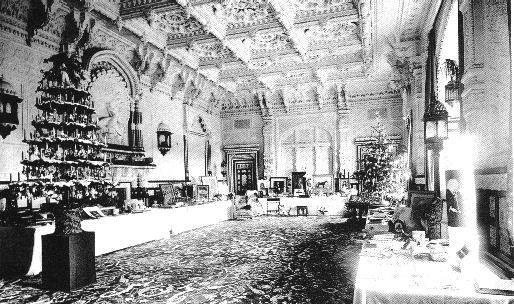 After tea, the queen distributed presents to the royal household in the Durbar room, where long tables draped in white cloth, fairly sagged beneath the weight of presents and the miniature trees crafted by the confectionery chef. These presents were of course much more lavish than those given to the domestic staff: gold or si lver cigarette cases, dressing gowns, jeweled cuff-links and watches for the men; and dresses, furs, and jewelry for the women. There were also an assortment of expensive, though useful household items, including silver salvers, tea services, silver coffeepots, paintings and books, along with signed photographs of members of the royal family encased in gilded or leather presentation frames. The queen and her family then exchanged gifts–usually paintings, vases, busts, expensive toilette and dressing services, and jewelry–which were then displayed on the tables in the Durbar Room. Each relative had his or her own table, and all of the gifts would be artistically arranged on top to give Queen Victoria the opportunity to be wheeled up and down the room to inspect them. And finally, Christmas morning. It began with a religious service, followed by luncheon at one, and tea at five o’clock in the queen’s sitting room. The traditional Christmas meal was a late dinner that began at nine. The pink and crimson dining room glowed in the light of the candles set within garlands of evergreens and holly, while bright red poinsettias and tendrils of ivy adorned the white damask tablecloth. To meet the holiday’s culinary needs, a month before the festivities, the chef de cuisine ordered up to 50 turkeys, a 140-pound baron of beef that took ten hours to roast over a spit, hundreds of pounds of lamb, dozens of geese, and crate after crate of vegetables, all shipped by train from Windsor. The confectionery chef and his staff spent days crafting 82 pounds of raisins, 60 pounds of orange and lemon peel, 2 pounds of cinnamon, 330 pounds of sugar, 24 bottles of brandy, and cup after cup of sugar into the Christmas mincemeat. This feast was followed by Christmas entertainment: a specially invited musician or singer who performed for the queen and her family before midnight brought the holiday to an end. 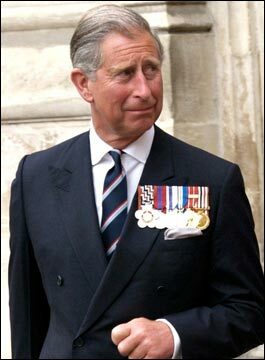 Today HRH Prince Charles, Prince of Wales turned sixty, thereby surpassing the term of his great-great grandfather Edward VII as heir to the British Crown by one year (incidentally, Charles is married to the great-granddaughter of Edward’s last mistress, Alice Keppel–how’s that for coming full circle). Like Bertie, Charles has weathered scandals regarding his personal life, and has spent his adult years in the shadow of his mother’s long, long reign. However, unlike Bertie, Charles’ stint as Prince of Wales has been less one of idle, frustrated indolence, but one of impact and action. To my knowledge, Queen Elizabeth II has not refused him any input into the daily workings of the palace. “Poor Bertie! 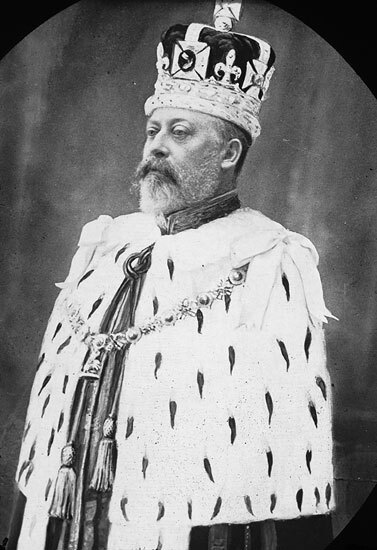 He vexes us so much!” wrote the Queen to Vicky, her first-born child and Crown Princess of Prussia. “…He is so idle and so weak.” Needless to say, Bertie was a disappointment to his mother, and during his life, his strict father, and neither of them held their tongue voicing it. Victoria recognized Bertie’s winning ways with people, sending him to represent the British Crown on a tour of Canada and the United States, but she lamented his lack of interest in any serious subject, and held his disinterest in formalized education against him his entire life. As such, Bertie was excluded from any and all affairs of state the Queen could handle herself, and any such attempt made by the Prince of Wales, or by sympathetic politicians such as Disraeli or Gladstone, were met with stony silence and contempt. Left to his own devices, Bertie devoted himself to a lasting round of feasting, pleasure and leisure, surrounding himself with the wealthy and the aristocratic, who comprised the “Marlborough House Set.” This, as well as his occasional scrapes, led the Queen to assume he was unfit to rule in spite of his popularity of with English people and his well-known adroitness in diplomacy. 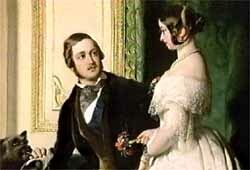 Lest you believe Queen Victoria detested her son and heir, thereby continuing the Hanover legacy of the estrangement of heirs from their ruling sires, Victoria was steadfast in the face of the public scrutiny Bertie faced during the Mordaunt divorce trial, the Blandford-Aylesford scandal, and the Tranby Croft Scandal, and rushed to his bedside during a near-fatal bout of typhoid in the 1870s. Victoria simply detested his idleness and choice of friends, but also felt her reign to be a duty solely undertaken by herself. Despite the lukewarm feelings his ascension evoked in a few, Bertie’s popularity proved lasting well past his regrettably short, nine-year reign. 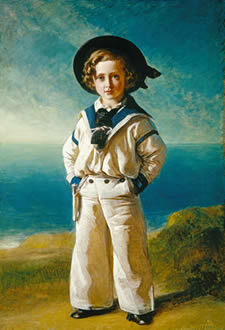 His influence in dress, deportment and diplomacy continued to be admired and emulated long after his death. Though largely forgotten by the public, still remarkably overshadowed by his mother, Edward is just as important to her reign as he is to general British history. When Victoria retreated into the spectre of widowhood, it was his charm and affability which kept British subjects from overwhelming resentment of the Royal Family, and he definitely left a stamp of the international relations of the day. And so, as the present Prince of Wales enters his 60th year as heir apparent, one wonders what sort of mark he’ll leave when he ascends the throne.